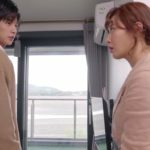 As a gesture of apology to Han San-hae (Shin Dong-wook) and Bok Seung-ah (Kwon Yu-ri of Girls’ Generation) for the long wait, the client they’d been waiting for offers them a night’s stay at her pension for free, in episode 10 (full episode 5) of Dae Jang Geum Is Watching / The Great Jang-geum Is Watching / Jang Geum, Oh My Grandma (대장금이 보고 있다) (MBC, 2018). 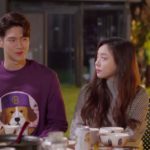 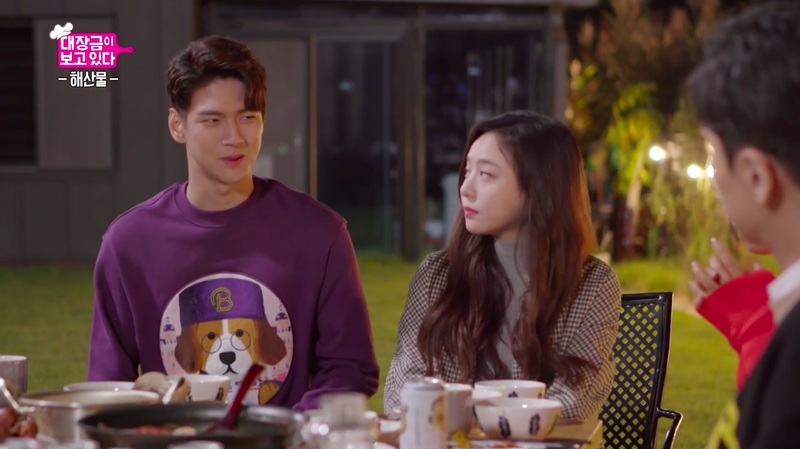 Later, San-hae calls up his siblings Jin-mi (Lee Yeol-eum) and Jung-sik (Kim Hyun-joon) and have them drive down to meet him there, so that they don’t miss out on eating dinner together. 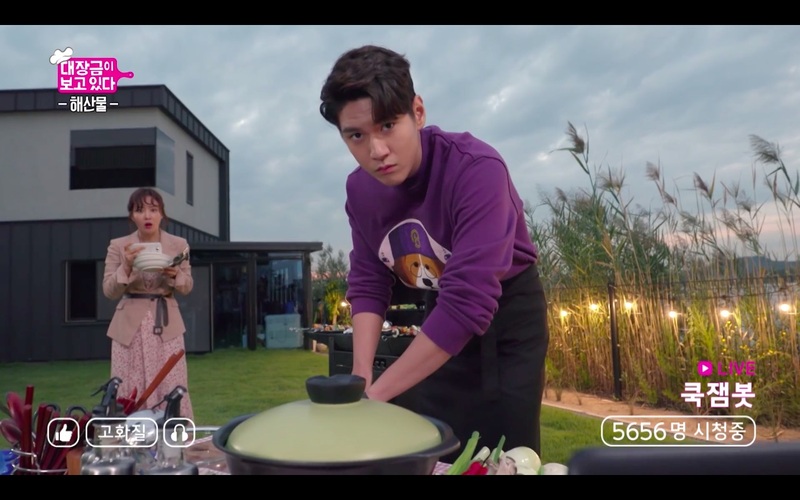 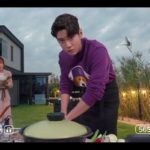 As Jung-sik prepares a seafood dinner in the backyard while streaming it live, an unsuspecting Seung-ah — a viewer of his cooking show — walks onto the ‘set’, and into his live stream. 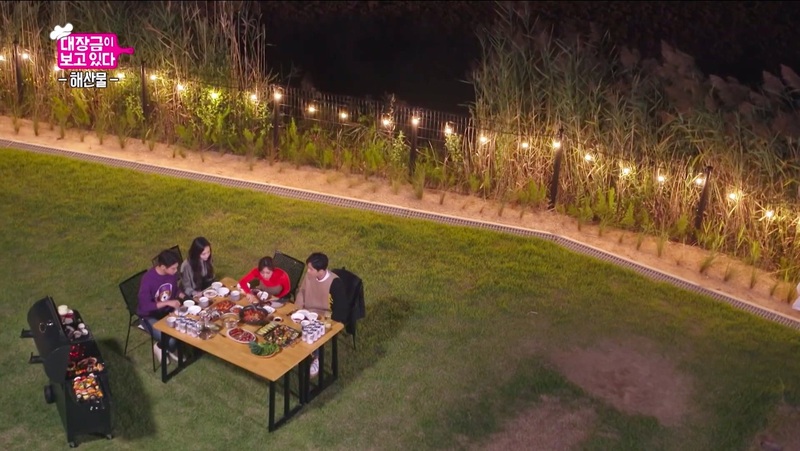 Mer Bleue Pension [대부도 메르블루 펜션] — part of Daebudo Pension Valley — is a 6-room short-term/holiday home with sweeping views of the sea. 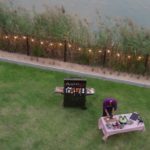 Aside from a barbeque pit, it also has facilities like a karaoke room and a football pitch. 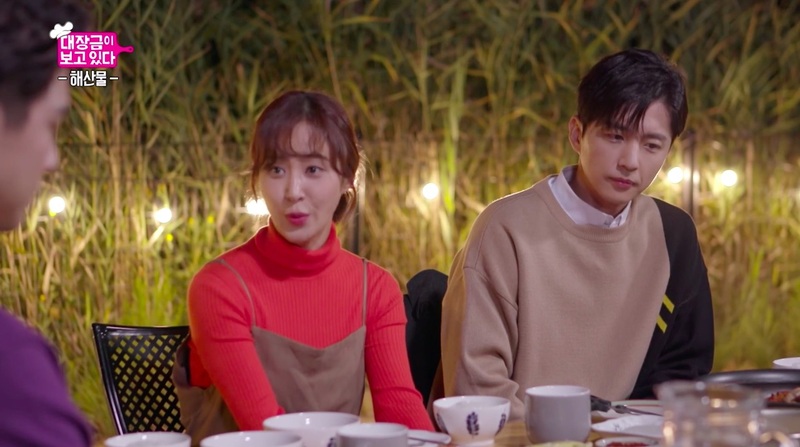 It is located in Ansan’s neighborhood of Daebunam [Daebunam-dong/대부남동] in the Danwon District [Danwon-gu/단원구], not too far away from Monolith Pension [모노리스펜션], which were the exterior shots seen in the Dae Jang Geum Is Watching scenes.